This touareg man was sitting on his camel. I photographed him at night with nothing but the black night sky in the background to get the subtle black on black look. 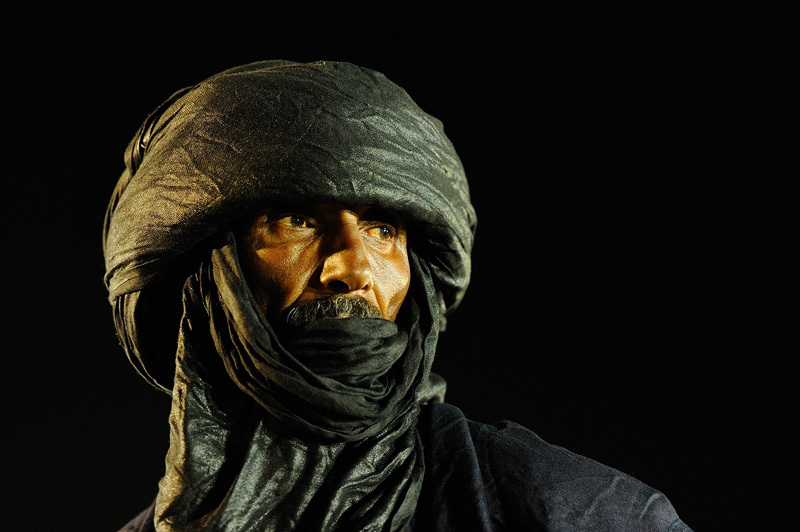 The Tuareg are a Berber people with a traditionally nomadic pastoralist lifestyle. They are the principal inhabitants of the Saharan interior of North Africa. Shot in Libya.